Choose between five different sizes. The 1 oz swing-top bottle makes a beautiful presentation in the kitchen while the 3 oz and 5 oz resealable rice paper bags pack a lot of spice into limited shelf space. The 20 oz and 40 oz jars are perfect for restaurant, food service use and work well in professional kitchens. 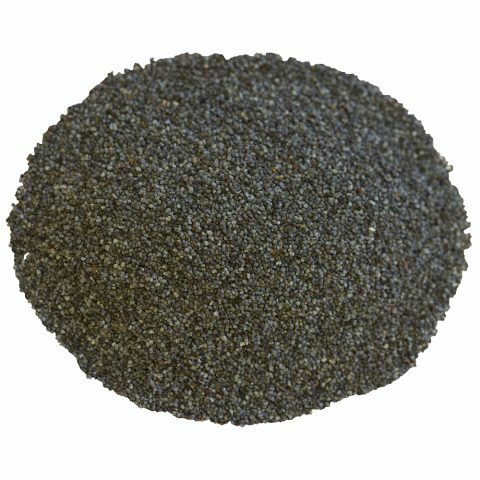 Contact us directly for bulk prices. Thai chilies are small in size but big in heat, spice, and flavor. They are among the hottest chilies available. Also known as bird’s eye chili, piri piri, or kocci, Thai chili is an essential ingredient in Thai, Malaysian, Lao, Singaporean, Indonesian, and Vietnamese food. Its use has spread beyond Asia and is also often found in European and American cooking. Ground Thai chili is used to balance the flavors of sour, salt, and sweet in a given dish. Chilies are commonly used whole or ground in Thai and other Asian cuisines, including curries, noodle dishes, soups, stir-fries, and many more. In ground form, Thai chili has a beautiful red color. Ground Thai chili appears in many dishes throughout Asia, Europe, and the Americas. In Thailand, one of the most common condiments on any table is ground chili. It often sits alongside pickled chilies and fish sauce. It can be incorporated in traditional Asian dishes, added to relish or condiments, scrambled with eggs, blended into curry paste, or any number of other uses. Curry paste: mixed with garlic, salt, pepper, onion, and other ingredients, ground Thai chili can enhance the spiciness, flavor, and depth of a curry paste. 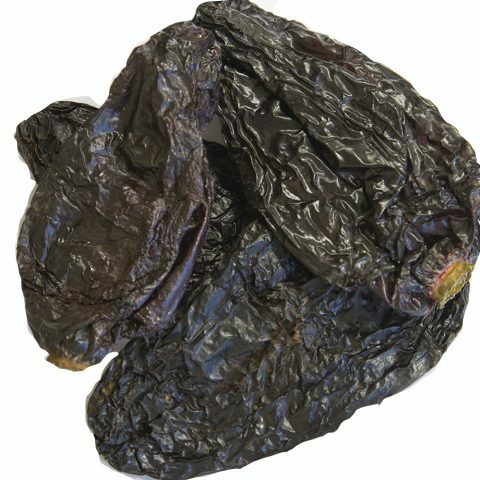 As a condiment: dried chili is often used to make hot sauce, a liquid condiment. It can be found in sriracha, a common and popular hot sauce from Thailand. In an infusion: dried chili can be used in cooking oils as an infusion, to add spice and flavor to a dish. 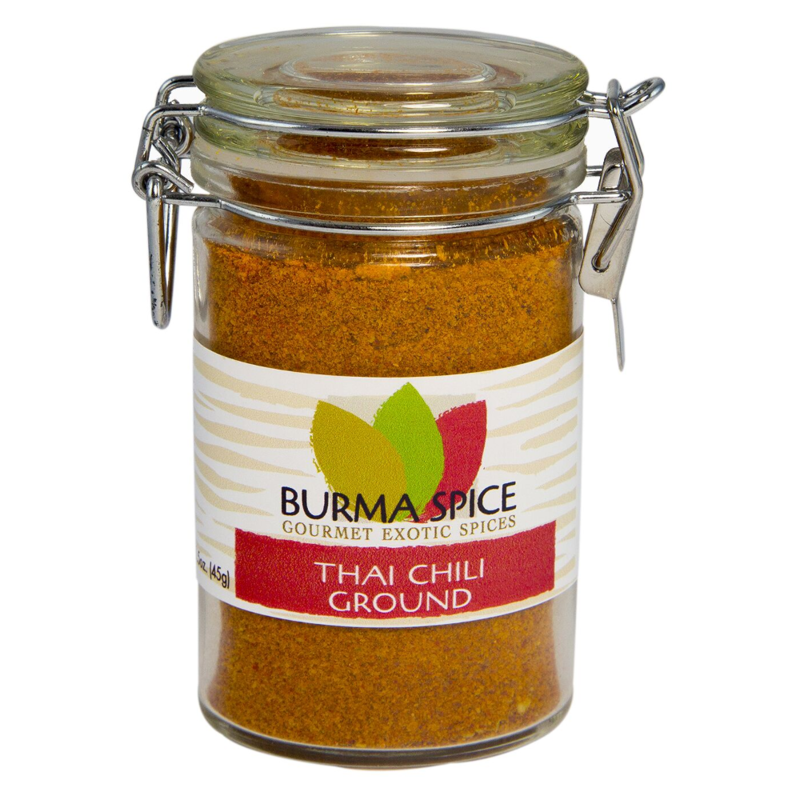 Ground Thai chili can be added to any savory meal for extra spice and flavor. It is a staple ingredient in Thai cooking, can be found in every Thai kitchen, and is often readily available on the dining table. Asking for extra chili on your meal is not considered rude; in fact, Thai food is generally spicy, and it’s acceptable to ask for a higher spice level in a restaurant. Chili peppers can be traced in the human diet as far back as 7500 B.C. They were originally domesticated in Mexico. The predecessors to Thai chilies originated in the Americas, coming to Asia when the spice trade route was dominated by Portuguese and Arab traders. Thai chilies are now grown throughout Southeast Asia, including Thailand, Cambodia, Laos, and Vietnam. There are multiple variations of chilies found in Asian cooking. These chilies vary in flavor and spice level. The substance that gives chili peppers their heat is called capsaicin, which varies based on chili variety. Thai chilies are the fruit of the perennial Thai (or bird’s eye) chili plant. There are multiple varieties of chili plants grown in Asia. The traditional Thai chili plant is a prolific producer of red chili fruits. This plant grows up to 2 meters in height, with two or three fruits growing on a single node. The fruits are very strong and are consumed fresh, dried, whole, or ground. Thai chili fruits are typically mature after about 130 days when they take on a deep red color. The fruits are picked and then dried in the sun or in artificial dryers. Once completely dehydrated, Thai chilies can be stored in an airtight container for extended periods. To make ground Thai chili, the chili fruits must be entire dehydrated before grinding. Once the fruit is ready for processing, the seeds and membranes are retained or removed to adjust heat level. Leaving in the seeds and membranes creates a spicier, more robust product. Removing the seeds and membranes can create a milder chili powder. Thai chilies contain high amounts of vitamin C, small amounts of carotene, and are a good source of B vitamins. They are also high in potassium, magnesium, and iron. Our Thai chili comes from Thailand. We have sampled nearly every source of Thai chili available and our ground Thai chili comes from the absolute best peppers we could find. It is important to note that Thai chili is different from chili powder found in most American grocery stores. Our ground Thai chili is only made from chili peppers. 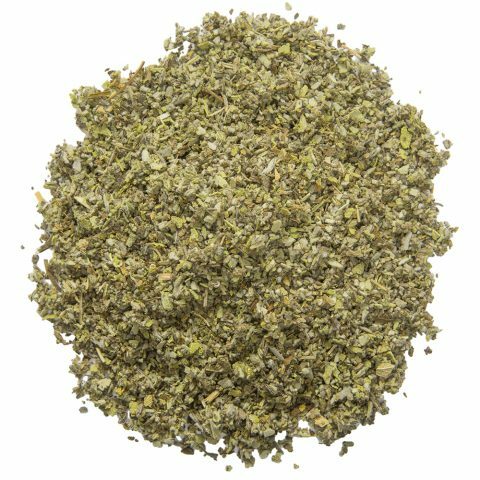 It is not a seasonal blend as typically used in American chili recipes. We grind whole Thai chilies weekly in our shop, providing you with the highest quality and freshest product possible. It is 100 percent pure ground Thai chili. There are no added preservatives or colors in our ground Thai chili, giving you a bright, flavorful, and spicy product. We’re located in the heart of South Florida’s agricultural belt giving us access to local farms growing tropical spices to our demanding specifications. Our facility is open by appointment.